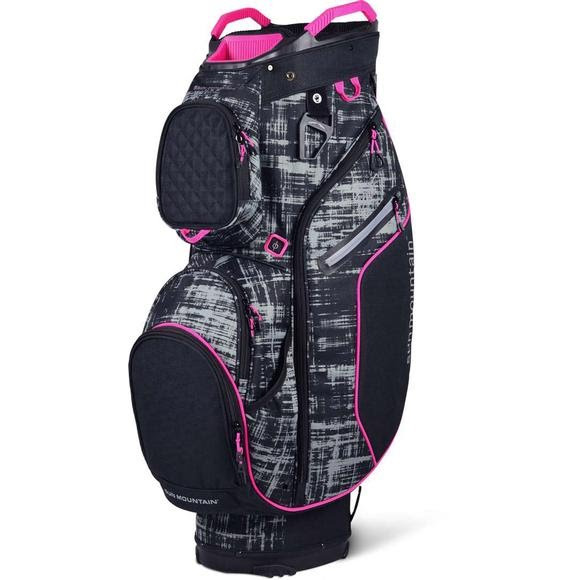 Sun Mountain Sports' Diva, a riding cart bag with a stylish edge, comes complete with all of the features that make their cart bags so functional. It has a reverse-orientation, 15-way top; integrated handles to assist in loading the bag on a cart; a dedicated putter compartment; and pockets that are all accessible when the bag is on a cart. Sun Mountain Sports &apos; Diva, a riding cart bag with a stylish edge, comes complete with all of the features that make their cart bags so functional. It has a reverse-orientation, 15-way top; integrated handles to assist in loading the bag on a cart; a dedicated putter compartment; and pockets that are all accessible when the bag is on a cart.